Wouldn’t it be disappointing if you were a Marvel Cinematic Universe actor, and your character was still presumably alive in the franchise, and you WEREN’T invited back to participate in either Infinity War or Avengers: Endgame? Especially since both movies feature nearly every MCU character from the past 10 years that hasn’t yet perished on screen? Well, one iconic thespian can smile bright knowing they have a space in what is sure to be the biggest movie of the year. And another actor is joining in on the fun to boot. Yes, those worried they’d seen the last of Rene Russo as Frigga can wipe their sweaty brow. The Thor character will live to fight yet another day. 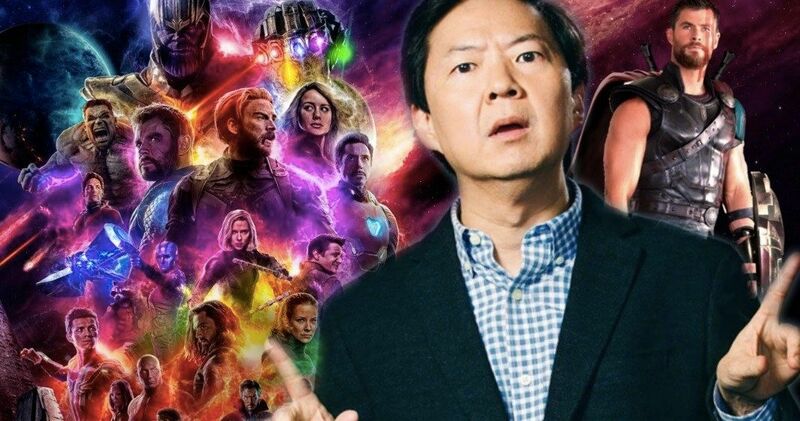 And to top it off, Community and Hangover star Ken Jeong has joined the cast in some capacity, perhaps being brought in solely for the latest reshoots, which appear to still be ongoing. The fourth Avengers movie has directors Joe and Anthony Russo working with their biggest cast yet, which is really saying something after their epics Captain America: Civil War and Infinity War managed to squeeze in nearly every iconic superhero housed under the Marvel banner with the exception of those still waiting over at Fox to join the team. When Endgame begins, half of the world will have been wiped out by Thanos’ decimation snap, and this spans a number of iconic Marvel superheroes including Spider-Man, Black Panther and Star-Lord. We know that they’ll all return, since they are guaranteed to be getting sequels in Marvel Phase 4, but it might not be until the third act that they all climb out of their ashy graves. For now, the Avengers team is limited to just the original core group. So Ken Jeong could be a welcome addition, though his character is no being revealed just yet. There are numerous rumors of time travel and flashbacks, not to mention alternative universes and wormholes all made possible by the Quantum Realm. Frank Grillo is returning as Crossbones, who died in Civil War. John Slattery is rumored to have shot scenes as Tony Stark’s dad, Howard Stark. And there is much speculation that Hayley Atwell is coming back as Peggy Carter, so you know this next adventure spans several different decades in Marvel universe lore. Rene Russo previously played Queen of Asgard and Wife of Oden in Thor and its first sequel The Dark World. Frigga is Thor’s mother, but she sat out Ragnarok. Frigga’s return has not yet been revealed until this very moment. It isn’t yet known if she will factor into a time travel plot, or if something else is at foot. As MCU fantastics know, Frigga met her untimely demise at the hands of Dark Elf Algrim in Thor 2. She hasn’t been seen since. There is some speculation that Frigga will be seen living it up in the Valhalla afterlife. As for Jeong, he has worked with the Russo Bros. in the past, starring on the NBC sitcom Community as a featured player. This continues the tradition of the Russos bringing in cameos from their past television work, having directed a number of Community episodes. Other cameos include Danny Pudi and Jim Rash. And there have been nods to their work on Arrested Development. This latest leak comes from Reveng of the Fans.